I have to admit… twinkies aren’t my favorite. 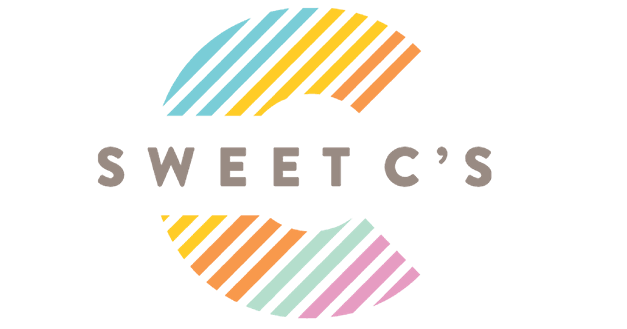 They are so overly sweet, oily tasting, and have a little bit of a chemical flavor… which is completely and totally unlike the rich, buttery and airy recipe I have for Homemade Snack Cakes. 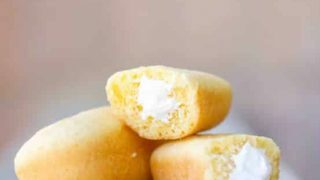 Seriously, homemade twinkies are like little springy ovals that taste like a pound cake mixed with delicious buttercream sent from heaven. I recently stumbled upon a Wilton Delectoval Cake Pan at Joann Fabric and Crafts and had to jump for it! It is such a cute pan, and I am excited to make lots of little cakes the kids will love. 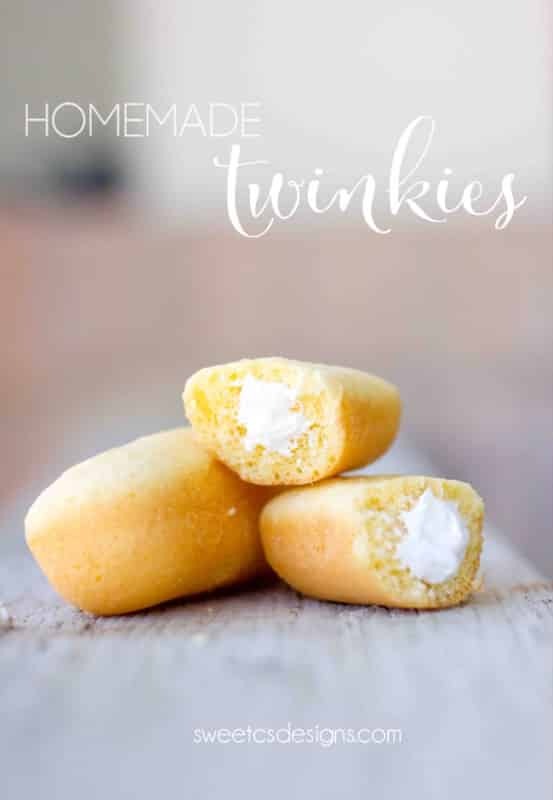 They are also a bit smaller than twinkies, which helps with portion control. I’m not going to lie- I was a bit afraid the snack cakes would stick. But I found some Wilton Cake Spray (think cooking spray, but perfect for baking cakes), and they slid right out of the pan. I think the Wilton Cake Spray is one of the best cooking sprays I have ever found, hands down. 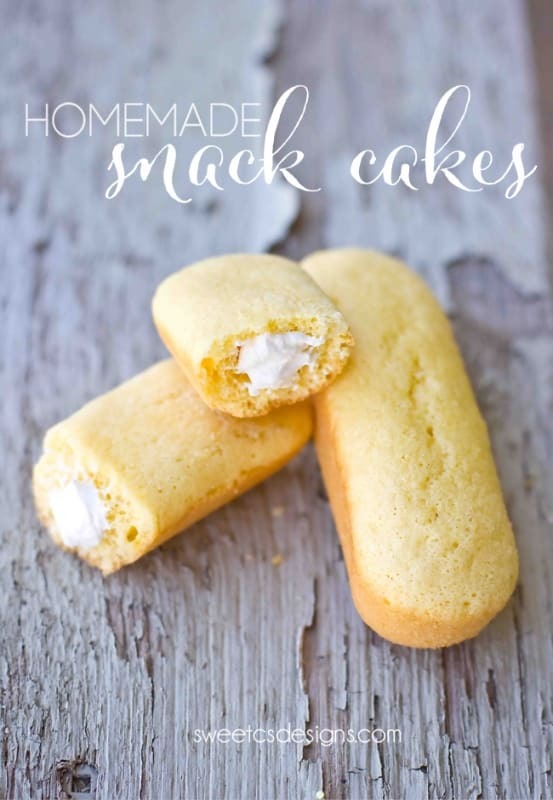 Since these snack cakes are so light and airy, they do tend to go stale more quickly. They are great in an airtight bag in a cool, dry place for a few days- but are more delicious when eaten fresh. A few hours is fine to make them ahead of time for a party. In a stand mixer, beat egg whites and cream of tartar until stiff but not dry. While the egg whites are mixing, beat egg yolks until frothy and lighter yellow. Slowly add vanilla and sugar, mix until mixture has doubled. Fold in egg whites slowly, followed by the flour mixture. Spray delectoval pan generously with cake spray. Fill pan 1/3 full and bake for 8 minutes, or until sides are slightly browned and springy to the touch. While cooling mix filling ingredients until light and fluffy. Using a Bismarck Tip #230, pipe filling into your cakes from the bottom of the cake in 3-4 places along the cake. This spreads best if done when cool or icing will melt into cake. Well, this is bookmarked to come back to and bake! I have more than one person who’s going to LOVE me real soon! Thanks for sharing! what is a ” delectoval pan ? where can I buy? Is it a Wilton Pan?